New players can't just buy a cradle and start having babies anymore. It now takes a time limited quest to unlock. The prize is the cradle. Got this info from a new player. You can start it whenever you want, once you are at the level that unlocks babies. To have the baby quest, first you have to buy the changing table. With the sim you want to have the baby selected, you tap on the changing table to start. Your sim needs a partner and must have a high enough relationship with another sim, I think level 4. Your sim can be friends, flirty, even rivals. Your sim does not need to be married. Even if they are, you can have baby with someone else! It is really best if you are at level 10 in the relationship when you do the baby quest. If you have story events still unfinished, when you are trying to do the baby quest, the game sometimes won't let your sim do the next quest task until you do the next relationship task first. This happened 3 times to Catharina! It means it's really hard or impossible to finish the quest in time without using lots of cupcakes. Speaking of cupcakes, it's good to have some saved before you start as it can be hard to finish on time unless you are really on top of things and start each step as soon as the previous one is done. A note about times listed. All tasks without times are just seconds to complete. Also, your partner for the baby can be a NPC sim (yours or someone belonging to the game) another player's sim, or another of your controlled sims as long as you have that high relationship level. The times listed are if it's not another of your sims as a partner. You can speed up by helping and/or cupcakes. I believe if you do the event with 2 of your sims, the time is half as long, and you can use both sim's energy, which would make it much much easier. So you might want to consider using two of your sims for the baby quest. I believe (haven't tried myself) when you actually have a baby, it doesn't have to be the sims you did the baby quest with. You will have 3 days. 11. 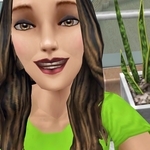 Read "The Hungry Llama"
Now you get the cradle and can have a baby (random gender, sim and partner wahoo 30 minutes) or adopt ( choose boy or girl, sim and partner stand by cradle for 30 minutes. You do not need the venues unlocked to do the events at them. Note if they are still locked, you can't do anything there after event ends, even tap on your partner for next event. Catharina's sim's partner was a NPC and was king of stock at the Civic Center. WHLhat worked was sending co trolled sim home and calling partner there. It's been that way for a few months now. Thanks for making the list! When you've played past certain stages, you're often not aware of changes unless a new player friend tells you. It was enough like the wedding furniture quest, at least I could help with advice when she did it. Yeah, I was only aware of it because a couple of months ago someone posted on Reddit asking about it. FreePlay did the same thing back when they introduced the quest system. Wonder what other quests they'll add. I have tried this quest quite a few time now and every time I get to the ‘baby talk’ task, the option never comes up to start the event. I’ve tried every single relationship I have going on my app but the event is never an option. I’ve tried completing relationship chapters but still no option. Any ideas as to how I can fix this? Sounds frustrating. It's hard for us to check on it as if we've completed the quest, we don't have it any more. You may need to contact EA for help. For me, I just tapped on someone who was a friend or family member, and as long as we had a relationship going, the option was there. I think someone once said they had to change the type of relationship (go to bottom of action list and change from friendly to flirty for example) to get the special event to show on the action list in the wedding quest. They had to do it each time they had a new special event in the quest. No reason why it was that way, but it did get them thru the quest. I once had to start a brand new relationship to get a special event to show up on the list. I had a non controlled adult child hanging around the house that I used as I figured she'd always be easily available, but it probably could be any sim. I don't recall if the special task showed up before I did "start a friendship" or just after I did it. Maybe you could try those to see if you can get baby talk to show up. Good luck! Can someone please explain what’s this changing table and how can i buy it?